Draw the line on irritating ingredients. Our all-natural lipliner is made without any preservatives, artificial dyes or parabens. So you feel good and look good. 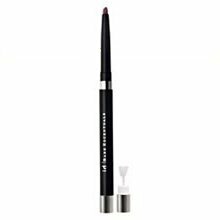 Give your lipcolor new depth and staying power with this precise, soft-tipped lipliner. If you have any questions about this product by Bare Escentuals, contact us by completing and submitting the form below. If you are looking for a specif part number, please include it with your message.